Registration Opens December 3, 2018 at noon. The Forney ISD percussion programs will be hosting the 11th annual North Texas Percussion Festival on March 1st & 2nd, 2019. This year’s clinicians are Dr. Brian Zator (TAMUC), Paul Rennick (UNT) and Emily Patterson Tannert (PASIC Middle School Call for Tapes educator). Each group has the choice of performing one or two selections with judge’s critique after their performances. Large instruments will be provided for your convenience but each school will be asked to provide their own accessories. 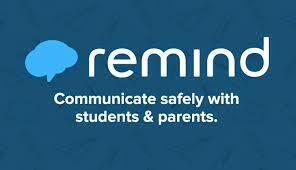 Each school will receive written comments and an audio recording. Forney HS is located ten minutes east of Mesquite and twenty minutes east from downtown Dallas. 1. Soloists may perform a solo of their choice for $15. Solos are judged by the middle school adjudicator in the band hall. 2. High School ensembles can choose a 30 minute slot for $125 or 45 minute slot for $150. 3. Each high school is limited to ONE slot of 30 or 45 minutes. 4. The high school classification will be broken down to a Small division (6 or less) and a Large division (7 or more). 5. Middle school fees are $100 for every 30 minute slot. If a district wishes to combine middle schools, the fee is $125. Click on the image below to take you to the NTPF facebook page! Dr. Brian Zator is the Head of Percussion at Texas A&M University-Commerce, having joined the faculty in 2001. He holds degrees from Baylor University, the University of Michigan and the University of North Texas, and is also a student of world-renowned marimba artist, Keiko Abe, having performed and studied with her in Japan. Dr. Zator has performed at seven Percussive Arts Society International Conventions (PASIC), TMEA, TBA, Midwest, conventions and festivals across the United States, at Carnegie Hall, and abroad in Brazil, Japan, Australia, Switzerland, Luxembourg and China. He has two CD’s released on Equilibrium Records: “Zamiki: Music for Solo Marimba” and a chamber-works CD entitled, “Zoomorphs”. His method book, “Keyboard Fundamentals with Play-Along Tracks” is published by Innovative Percussion. Dr. Zator’s students are perennial winners at PASIC competitions, winning the College Keyboard division 4 of the last 7 years, College Multiple-Percussion division twice, Timpani division, and the Small Ensemble Competition. The A&M-Commerce Percussion Ensemble was one of the three winners of the prestigious PAS International Percussion Ensemble Competition and performed a showcase concert at PASIC 2010. The ensemble also presented a concert at PASIC 2006, featuring works of Minoru Miki, and has released two CD’s since 2007. His students have earned graduate assistant positions at prestigious programs across the country and are becoming successful professionals in their chosen fields. Active within the Percussive Arts Society (PAS), he currently serves as President. He has also served as President-Elect, Secretary, on the Board of Directors, on the Keyboard and Percussion Ensemble Committees, written reviews for Percussive Notes, and has adjudicated the PAS International Percussion Ensemble, Composition, and Solo Marimba Competitions. Providing instructional videos for popular marimba solos, Dr. Zator is the primary keyboard artist for the iBook publications by Pocket Percussion Teacher. He is also the Chair of the Texas Prescribed Music List (PML) Percussion Committee that regularly edits, updates and revises the primary percussion solo and ensemble list used by high schools across Texas and the country. Dr. Zator is a performing artist and clinician for Dynasty/Bergerault, Innovative Percussion, Sabian, Evans, and Black Swamp Percussion. Dr. Zator is also heavily involved in his community, currently in his second term as a School Board Trustee for the Royse City Independent School District. He was one of the Co-Captains for the Davis Elementary All Pro Dad Chapter, having served in this role for the past eight years. Invited by members of the City Council, Dr. Zator serves as Chair of the Royse City Comprehensive Plan Action Committee, and has presented at the Chamber Luncheon and town forums. He is also a member and plays drumset at the Fellowship Church-Royse City. Paul is also an active performer, appearing as a featured soloist with the UNT Wind Symphony on the DVD recording “Percussive Palooza,” and related showcase concert at PASIC 2008. He is also as a featured soloist on the University of North Texas Percussion Ensemble recording “Vespertine Formations” (2009). Paul is an artist and product consultant with Dynasty USA, and helped design the new “Custom Elite” snare drum, released during the Summer 2012. Paul is also currently an artist/clinician with Remo Inc., the Avedis Zildjian Co., Roland, Planet Waves, and a Signature Artist with Innovative Percussion, Inc.
Emily Tannert Patterson is a percussion arranger, clinician, and consultant in the Austin area. She was previously the percussion director at the Rouse High School and Wiley Middle School, in Leander, TX, from 2015 till 2018, and was the percussion director at East View High School, Georgetown, TX from 2011 until 2015. Her ensembles have garnered numerous accolades including winning the 2016 PAS IPEC, the 2014 TCGC Scholastic Concert Open championship, the 2015 WGI Houston Regional Scholastic Concert World championship, and second place in the 2015 Black Swamp Percussion Ensemble Contest. While she was at Rouse, the marching band was a Texas State Finalist in 2017, and the wind ensemble performed at the Western International Band Conference in 2015. Patterson holds a Master's degree in Percussion Performance from The University of Texas at Austin, where she studied with Thomas Burritt and Tony Edwards. Patterson earned her Bachelor’s degree in Instrumental Music Studies, along with an undergraduate Performance Certificate in Percussion and her Texas teaching certificate, from UT in 2008, and received her Bachelor’s degree in Journalism and Political Science from Northwestern University in 2004. Patterson marched with the Glassmen Drum and Bugle Corps in 2003 and was a member of the 2004 Winter Guard International world champion indoor drumline Music City Mystique. She has been active as a percussion judge for the Texas Color Guard Circuit, Texas Educational Colorguard Association, and North Texas Colorguard Association since 2011. Patterson is an educational endorser for Innovative Percussion sticks and mallets and Remo drumheads, and holds professional memberships in the Texas Music Educators Association and the Percussive Arts Society, is a member of the Texas Color Guard Circuit Percussion Advisory Task Force, and serves on the PAS Education Committee. REFUNDS ARE NOT REFUNDABLE TWO WEEKS PRIOR TO THE CONTEST DUE TO PLANNED LOGISTICS.